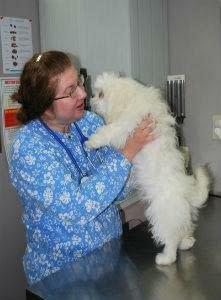 Dr. Carol Krompacky graduated from THE Ohio State University College of Veterinary Medicine in 2003. Her special fields of interest are internal medicine and parasitology. She began her odyssey at Pet Guards Clinic last year, and continues to take the time to educate pet owners on the importance of early spaying and neutering. She is an avid gardener, bicyclist, and is the proud mom of 3 "bad*ss" cats. 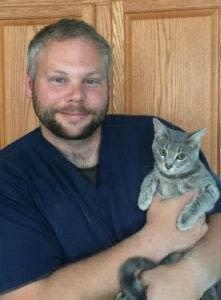 Dr. Kaiser graduated in 2006 from Tufts University School of Veterinary Medicine in Massachusetts. 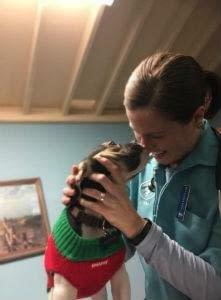 After graduation she completed a small animal internship at Metropolitan Veterinary Hospital in Akron. In her free time, she enjoys traveling and wine tasting with her husband, as well as spending time with her ridiculously spoiled dog, a cattle dog mix named Dingo.